Pete Carroll is sitting at home. Jim Harbaugh is preparing for the Super Bowl. Ask the average fan which one has done a better job in the NFL, and most would point to Harbaugh’s record and roster as evidence that he is the more valuable organizational leader. Put even a little effort into your analysis, and it becomes clear not only that Carroll has done more to improve his organization, but that there really is no comparison. Carroll, with the help of John Schneider (a GM he helped select), has arguably improved his team more than any coach in the NFL in the last three seasons. The Seahawks trajectory is so much steeper than the 49ers, San Francisco better get their ring this year, because the evidence suggests it may be the last time Caroll allows them a shot. Carroll took over one of the worst rosters in the NFL in 2010 from Tim Ruskell and Jim Mora Jr. Consider that 32 of 59 players that took snaps for that 2009 Seahawks team did not play in the NFL last season. That was just three years ago. Over half the players were either not good enough to make another NFL roster, or were old enough to be at the end of their careers. Many joked about the way Carroll and Schneider turned over the roster in 2010. Nobody is laughing now. A full 50 of the 57 players who took meaningful snaps for the Seahawks in 2012 were brought to the team by Carroll. That’s 87.7% of the roster. Carroll was not just adding roster fillers. Twenty of the teams twenty-five starters (11 offense, 11 defense, 1 kicker, 1 punter, 1 long snapper) were brought to the team under Carroll’s regime. Three of the Seahawks four All-Pro players were added by Carroll, as were five of their six Pro Bowl players. Compare that to Harbaugh. Of the nine All-Pro players from the 49ers, Harbaugh inherited eight of them. There were 58 players that got meaningful snaps for San Francisco this season. Only 32 of them (55.2%) were brought to the team under Harbaugh. Even worse, only seven of their twenty-five starters were found under Harbaugh’s watch. That’s less than 30% of his starting unit. Patrick Willis, Navarro Bowman, Justin Smith, Mike Iupati, Dashon Goldson, Ray McDonald, Joe Staley, Franke Gore, and even Andy Lee were all gifted to Harbaugh. He gets credit for utilizing the talent he inherited, but his ability to sustain a high level of competition is questionable. The 49ers notoriously play their starters more than any other team. There is little being done to develop the next wave of talent. At one point in 2012, they were the only team in the NFL to have zero snaps for their 2012 draft class. Add that to having one of the older teams in the league, and one has to wonder how much Harbaugh is building a horse to win a single race versus one that can compete for the triple crown. Even when comparing the two franchises progress by wins, Seattle looks healthier. The 49ers won two fewer games this season, while Seattle won four more than in 2011. FootballOutsiders.com takes into account schedule strength and various other objective measures and Seattle went from the 19th ranked team in 2011 to the 1st in 2012. The 49ers went from 6th to 4th. And while the 49ers are among the older teams in the NFL, that plays their young draft choices less than almost any other team, the Seahawks are the 2nd-youngest team in the NFL and played their draft choices more than nearly any other franchise. Add to that Seattle has $18.6M in cap space to work with compared to just $3.9M for San Francisco. San Francisco fans can revel in their Super Bowl appearance. Their roster is fantastic. Their success is well earned. It may also be fleeting. Not because they are going to become a terrible team overnight, but because there is another team that happens to be in their division that is improving at a far greater rate that has been sustained for three straight years. Seattle is built for the long game. Building perennial winners is about more than coaching on Sundays, and Seattle does not seem to be hurting their either as it was the Seahawks who had their coaching staff on the hot list for head coaching positions. There really is no comparison to be made between Carroll and Harbaugh. One has maximized the performance of a supremely talented roster he had little to do with. The other took one of the worst rosters and cap situations in the NFL and turned it into one of the best in three short seasons. 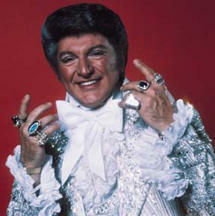 Harbaugh may get his one ring this season, but Carroll is aiming to look like Liberace when all is said and done.